What can TRUE do for you? Our clients receive the advantage of design that, not only looks, great, but effectively communicates. Our designers know what it takes to translate your message into successful materials that truly represent your organization. We offer consultation by the hour for any in-house projects that may require external support or guidance. Need help evaluating your projects and campaigns? We provide testing and analysis to help find the answers you're looking for. We have all that you need to turn your footage into a unique and effective piece. 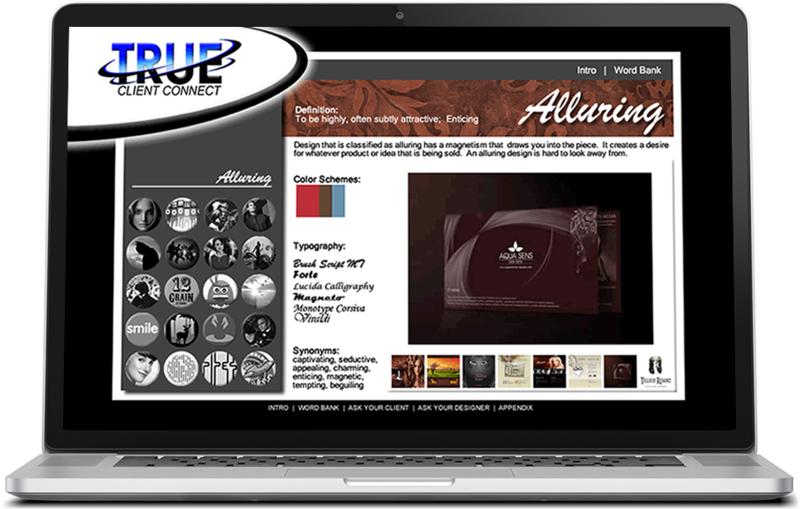 We offer cutting-edge web designs that are completely customized to powerfully represent your brand. TRUE Client Connect is an online tool created just for you, our client. This fun interactive website successfully saves both time and money by bringing designers and clients to the same page (literally) regarding abstract visual descriptions before beginning a project. By providing visual talking points for the language we use, designers and clients can communicate more specifically about the goals and desires for each design. Check out this interactive tool made just for TRUE Clients! "It has been a luxury to work with Christina, a first-rate designer who is professional, patient and always ensures our brand messaging is on point. Guests and clients frequently complement on our logo design and various marketing materials." "Christina has been absolutely amazing to work with on developing our marketing strategy and website for the Carmel Christlkindlmarkt. She is an exceptional communicator. Her eye for design and understanding of marketing and branding has been vital for helping our not for profit. She has exceeded my expectations and I am thrilled to recommend her."